The “akzent, Magazin has just published again their special edition of “Klasse Frauen”, which can be translated to “power women”. This year magazine features the stories of 10 successful women from the lake of Konstanz to Oberschwaben who have followed their dreams and realized their business vision. 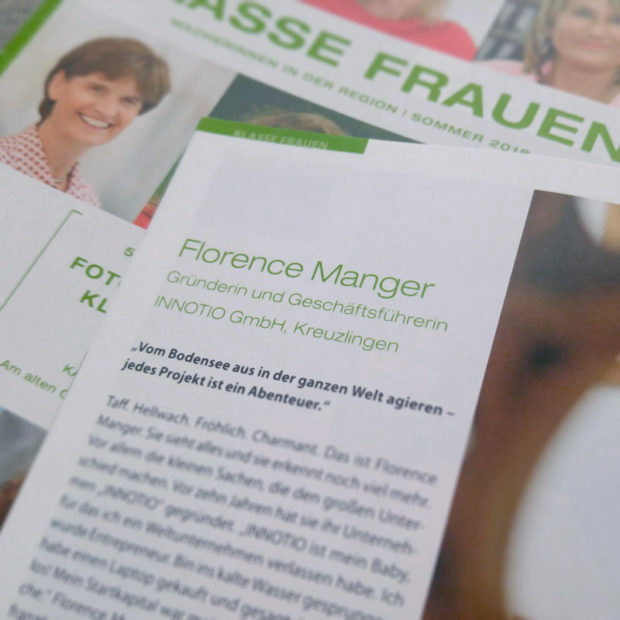 Florence Manger, Founder of INNOTIO GmbH, is one of the 10 women featured in this issue and we’re happy to show you a glimpse of the magazine. 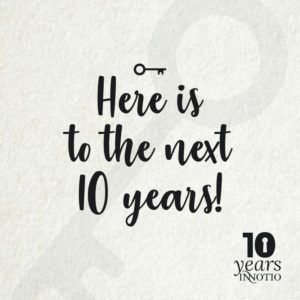 Here is to the next 10 years!